You’ve probably seen the crazy photos going viral on the net of giant spiders eating snakes that’s caught on their webs. A lot of people think these photos are edited, but there are actual species of spiders that can take on a snake for dinner. Sounds scary right? But don’t worry, there are only a few of them so don’t worry about that spider web in your garage. 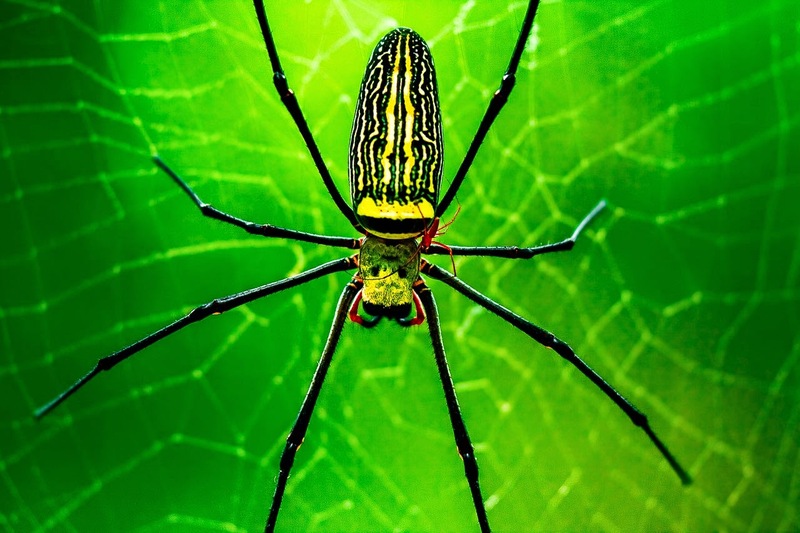 One of these spider species would be the golden orb weaving spider, also called the golden orb weaver. These large spiders have silver/gray to deep plum colored bodies and black-brown legs with yellow bands. Males and females of these species have a huge difference in size. Males are usually small and brown to red-brown in color. Females can grow 4.8–5.1 cm or 1.5–2 in while males are commonly 2/3 smaller. They’re usually found in warm regions all over the world and are very common in the American, Africa, Asia and Australia. Some golden orb weavers, like the Nephila plumipes found in Sydney, have a knob-like presence found in front of their sternum. Others have heart shaped plates instead of the knob. 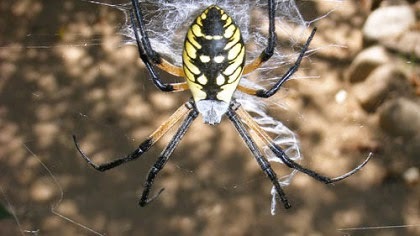 Golden orb weavers usually stay in dry, open woodlands or forest areas, shrublands near costal sand dunes and mangrove. They create a wheel-shaped orb web, which they position between shrubs and trees to trap food. Cicadas, wood moths, locusts, beetles and flies are the most common diet for these spiders. However, the really big ones can take on birds and sometimes, even snakes.